Anyone that owns or uses an On Site Septic System should have a Licensed Septic Company that they can trust to provide Professional Septic Services. Finding a Reliable Septic Contractor does not have to be tricky or complicated. Since the state of Minnesota has a large number of individual septic systems, septic professionals like Brad Krotzer at CSI Custom Septic, Inc. have lots of hands-on experience and training to provide excellent Septic Design, Site Evaluation, Installation, Compliance Inspections and Septic Repair Services. Our service area spans multiple counties including Anoka, Carver, Hennepin, Sherburne and Wright County. 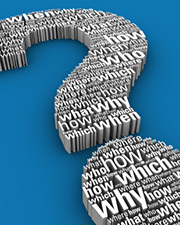 In order the get the best results you have to be willing to ask the right questions and do your homework so that you can be confident that you have the Best Septic Contractor for your needs. Education – Does your septic contractor keep up with continuing education on advancements in sewage treatment technology and best practices? License – Septic services providers should be licensed to provide specific services such as designing, installing and inspecting new or existing septic systems. Certification comes from the Minnesota Pollution Control Agency (MPCA). Insurance – Your septic system is a major investment that can affect the value of your property, the health of your family and your finances. The septic company that you hire must carry sufficient insurance just in case something goes wrong. Best Design – Each property has unique characteristics that must be considered with choosing the best septic design for the home or commercial property. There are several different septic styles to choose from so you will want your designer to be able to determine your best options for effective, efficient, compliant and long lasting results. References – A good way to know if you have found a reputable business is to check out their references and online reviews. A septic company that operates with true integrity, honesty, fairness, quality, communication and customer service will most likely have references to back it up. Understanding Septic Regulations – Local government units can have different code requirements that must be followed in order for your septic system to be in compliance. Building permits and inspections may be required for the work you are having done. Your septic contractor can take care of making sure that everything is done right. Hands On Experience – Not every Minnesota septic business does the work themselves. Some contractors will sub-contract the site evaluation, designing or inspection process. At CSI Custom Septic, Inc. you will benefit from many years of hands-on experience in all of these areas and more. Not only is Brad the owner of the business, he is also one of the installers, conducts soil testing, does repairs and septic compliance inspections. Whether you have just moved into a home with a Private Septic System or have had one for years, a key to longevity of the system is proper Design, Installation and Maintenance. Your septic contracting company should have the Education, License and Insurance for providing services that can keep the system healthy and operating without any major problems. 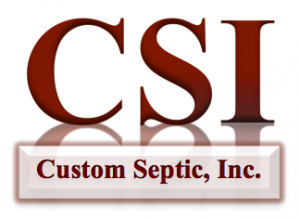 CSI Custom Septic, Inc. is proud to be a Licensed Septic Services Provider with an excellent reputation for value, honesty and quality. In Anoka, Hennepin, Sherburne and Wright counties of MN, contact CSI Custom Septic, Inc. at 763-218-4769.